This mushroom house is a home for many woodland beings. 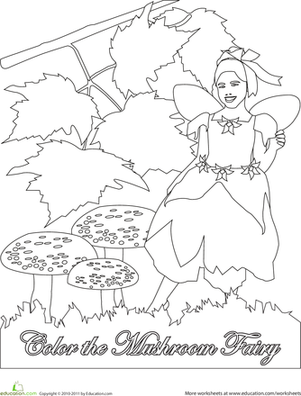 Your child will enjoy using her imagination to color in this fun coloring sheet. This is the perfect Halloween house to color: broken door, crooked shutters, and cobwebs in the windows. A coloring page of the White House, made for 1st graders learning their world geography or U.S. landmarks. Although the White House is technically white, you can color it any way you like with this patriotic coloring sheet. What young kid doesn't love fairies and fantasy scenes? 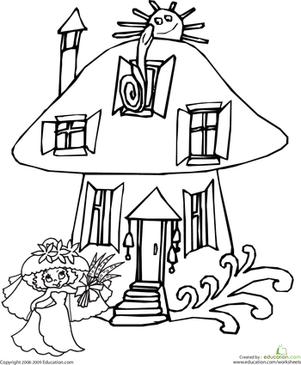 Keep little hands busy and little minds active with this fun fairy-filled coloring page! Encourage your child's inner architect with a shoebox creation that he can craft into his dream house, mansion or palace. 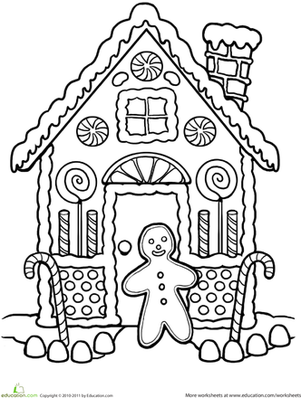 Make a gingerbread house with your kid with this tutorial. 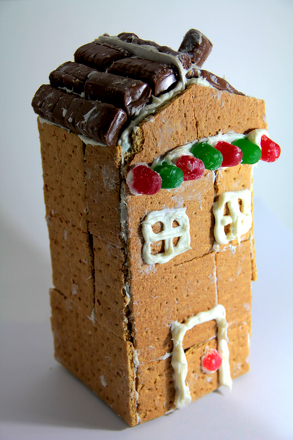 Learn how to make a gingerbread house using a milk carton, graham crackers, and frosting. Is it a haunted house? Or...maybe it's a fun house? Make spelling and word building fun with this Halloween-themed word worksheet. Take a peek at the eerie eyes in the windows of this Halloween haunted house, then invent the monster that goes with each pair. Learn the different parts of a house with this fun paper project! Your little one will clip out sight words and paste them in the right spot on this picture. A coloring sheet of the Sydney Opera House, designed for 1st-graders studying world geography and famous landmarks. Enjoy a cute coloring page featuring the House Sparrow! 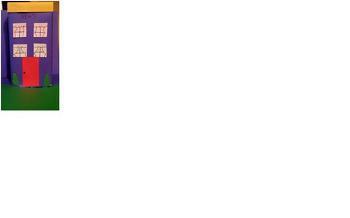 Your child will get to learn a new species of bird, and will even see how to write it in Latin.